Inspired by the classic beloved story HEIDI, this new reimagining of the titular character comes to life in this big budget, English language motion picture. 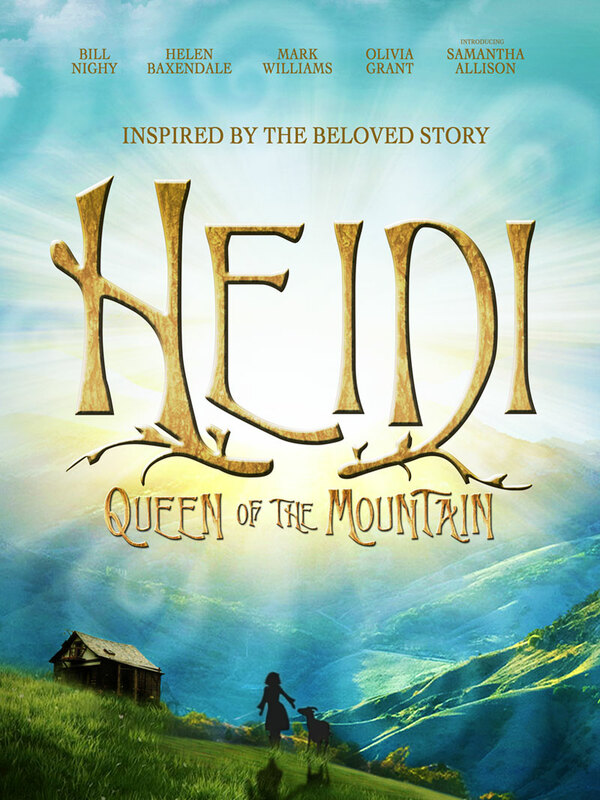 HEIDI: QUEEN OF THE MOUNTAIN is the first of a trilogy of films that will delight families for generations. Heidi is an adventurous and clever 15 year old girl who lives with her Grandpa in a small wood cabin high up in the mountains in the sleepy village of Dorfli. She doesn’t have many possessions but what she does have are her pet goat Snowflake, her best friend Peter, and her love of nature. When it’s discovered that Heidi has been skipping school, she is forced to leave her beloved world behind. She is sent to the city where she will live in the home of a wealthy professor in order to “make something” of herself. A stranger to her new surroundings, Heidi finds it difficult to adjust until she befriends Clara, the wheelchair bound daughter of the Professor. But things aren’t what they seem as Heidi suspects Miss Rottenmeier, the governess of the house, is hiding a dark and dangerous secret. It is up to Heidi to save the day so she can be reunited with the people and animals that she loves so dearly.